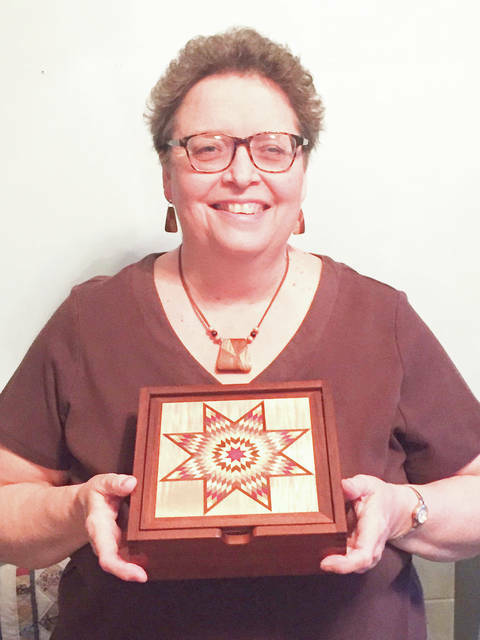 Provided photo Artist Cheryl Gustafson displays a sample box and jewelry of the intricate inlay design work that she and husband Tom will be demonstrating at Taste of the Arts. Provided photo Pat Klopfenstein is shown demonstrating several hand-built pottery pieces while teaching tips and techniques to the public. PIQUA — The 25th anniversary of Piqua’s popular Taste of the Arts will be celebrated on Friday, May 10, in downtown Piqua, sponsored by Mainstreet Piqua. From 5-9 p.m. the streets will be filled with bustling activity as festival goers of all ages enjoy a wealth of entertainment, demonstrations, foods, crafts and games. A special highlight are the many professional artists who are set up in storefronts or on the sidewalk demonstrating their skills, interacting with the public as they impart tips and “how-to’s” on how they create their artistic pieces. First-time demonstrators Cheryl and Tom Gustafson of Piqua, owners of Uniquely Wood, will share the techniques used to create their beautiful wood inlay creations. Typically, Tom handcrafts the beautiful wood boxes and Cheryl does the meticulous wood inlay designs of decoration. Cheryl was featured on the “American Woodshop” show on PBS with Scott Phillips several years ago (episode 1912, “Saw Scroll Inlays”), and has written for several publications. Most of their work now is of wooden boxes, wood coasters and jewelry. Samples of their work will be shown (and offered for sale, if desired) at their Taste of the Arts demonstration. Returning as a demonstrator will be potter Pat Klopfenstein of Vandalia. Klopfenstein has taken classes in pottery and ceramics for the past 30 years, starting at Riverbend Art Center in Dayton and continuing with many classes at Sinclair and Edison State Community Colleges. Now a retiree of Edison State after 30 years as a biology instructor, she continues to immerse herself in her art. “I incorporate a lot of nature themes in my work. I have participated in many workshops and juried shows and have won a number of awards. I love pursuing this hobby and look forward to sharing my skills with the public at Taste of the Arts,” said Klopfenstein, who will demonstrate in front of the Apple Tree Gallery. For more information, visit the website at piquatasteofthearts.com or call Mainstreet Piqua at (937) 773-9355.
https://www.tdn-net.com/wp-content/uploads/sites/21/2019/03/web1_Cheryl.jpgProvided photo Artist Cheryl Gustafson displays a sample box and jewelry of the intricate inlay design work that she and husband Tom will be demonstrating at Taste of the Arts. 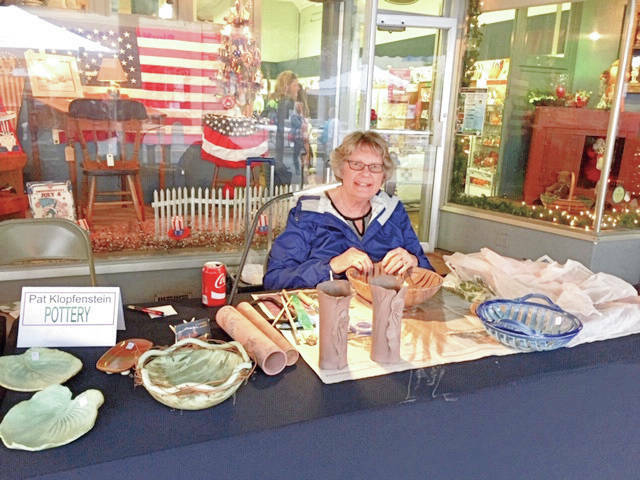 https://www.tdn-net.com/wp-content/uploads/sites/21/2019/03/web1_Pat_Klopfenstein_cmyk.jpgProvided photo Pat Klopfenstein is shown demonstrating several hand-built pottery pieces while teaching tips and techniques to the public.